This software is a perfect tool to export multiple contacts into multiple formats in bulk. The software retain all meta properties like name , addresses , birth dates , contact numbers etc. The Outlook contacts can be used on a google account by converting the contacts into Google CSV. It creates a comma separated file consisting of your contacts that is transferrable to the Google account . A single vCard file can be created by merging multiple contacts. This file can be used to transfer Outlook contacts to a smartphone. The tool can be used to create a CSV file with contacts mapped according to the YAhoo contact fields so that it can be easily migrated to Yahoo account. Why We Need to convert Outlook PST Contacts ? Need to convert Outlook PST Contacts to vCard VCF Format? Need to change email client as want to convert PST contacts file to vCards as the vCard VCF format is easily accepted by all major email applications like Lotus Notes, Outlook Express and others? Need to perform PST contacts conversion to change it to VCF format as it is accepted by devices like iPhone, Blackberry etc? Need to convert Outlook PST contacts as most Operating Systems support VCF format? Need to convert PST Contacts to Outlook Express WAB File? Due to job change, has your email platform changed from Outlook to Outlook Express? Do you need to convert Outlook contacts file to Outlook Express WAB file to view your crucial email contacts after email client change? Do you have different email clients at home and office making you Convert PST Contacts File to WAB so that you can access official email contacts at home or vice versa? Due to Outlook corruption, do to wish to convert Outlook PST contacts to Outlook Express to prevent losing their access? Need to convert Outlook PST Contacts to Excel XLS File? Do you have to go to some distant place where you want to take along your PST contacts information along in Excel XLS file? Can i export contacts from a corrupt PST? Yes , the software exports contacts from corrupt PST files. Later , they can be exported into WAB file format so that they can be accessed on Outlook Express. Can i recover deleted contacts using this software? Yes, the software can be used to recover deleted contacts as well as to export them into a desired format. Can I use this tool to export Outlook 2013 contacts to vcf? 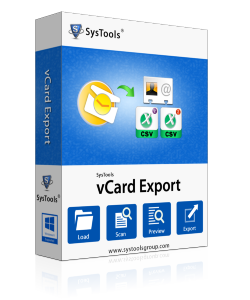 Yes the tool is compatible with the Outlook 2013 to export contacts into vCard format and it can be used to export them into other formats as well. Do i need to have Outlook installed on my system in order to convert a PST file to a CSV file ? No , the conversion can be carried out even without having the Outlook installed on your system. I must say the software is fabulous as it can easily export contact multiple contacts into desirable file format at once thus finishing the work in much lesser time. I used vCard exporter to convert PST contacts to Yahoo Mail which it did very quickly. It merged all the contacts into one file. It is the best tool to migrate PST contacts to CSV.